The $240 million deal offers the software titan an appealing slice of online advertising—and a $15 billion valuation for Facebook. After losing many battles to Web behemoth Google (GOOG), Microsoft (MSFT) finally won one. On Oct. 24, the software giant prevailed in its bid for a stake in the social network Facebook. Microsoft agreed to buy a $240 million piece of the company in a transaction that values Facebook at $15 billion. For Microsoft, the deal underscores the rising importance of online advertising. The arrangement gives Microsoft control over the placement of banner ads on Facebook outside the U.S., where about 60% of Facebook’s 49 million active users reside. Microsoft had already reached agreements to sell U.S. banner ads for Facebook through 2011. "It signals an enormous vote of confidence from our largest advertising partner," Kevin Johnson, president of the Platforms & Services Div. at Microsoft, said during a conference call announcing the investment. The transaction also reflects the rising—and some would argue, lofty—valuations for social networks. Facebook, run by Mark Zuckerberg, is also among the hottest on the block, growing by 200,000 registered users every day. According to Web tracker Hitwise, Facebook received nearly 1% of all Internet visits in the week that ended Oct. 20. And over the last year, its traffic has more than doubled (BusinessWeek.com, 8/6/07). The valuation for Facebook makes the $580 million News Corp. (NWS) paid for MySpace look like an outright bargain. Facebook’s allure certainly wasn’t lost on Google, which also bid for a stake, according to people familiar with the matter. Facebook Vice-President Owen Van Natta declined to discuss why the company chose Microsoft. "We were very fortunate to have a lot of folks interested in partnering with us around advertising," he said about the bidding competition, on the conference call. Google already has a lock on placing ads on the top social networking site MySpace. In a transaction outlined in 2006, Google is in charge of placing search-related ads on MySpace. Google also serves as the main MySpace search engine. Among social networking sites, MySpace received 76% of U.S. traffic in the week ended Oct. 20, compared to 15% for Facebook. In the end, the deal was more important for Microsoft because the software giant has badly lagged Google in online ad revenue. While Microsoft won the right to serve banner ads overseas, it’s unclear what else the company got. Van Natta said the deal didn’t include Web search, a business that could prove quite valuable. Google executives, at a meeting for analysts on Oct. 24, didn’t comment directly on Microsoft’s Facebook transaction, but highlighted the merits of Google’s own social networking technologies, including its site. Orkut is "one of the leading social networks," said Sergey Brin, Google co-founder and president of technology. "We don’t feel we need to own everything that is successful on the Internet." Rumors of the Microsoft deal have been swirling for weeks, and with so much hype surrounding social networking companies such as Facebook, some investors worried that Microsoft might overspend (BusinessWeek.com, 9/25/07) to win a piece of it. Microsoft’s 1.6% stake ultimately is much smaller than early speculation suggested. Indeed, for a company that had $23.4 billion in cash at the end of June, the price tag is a pittance. "The return on investment question almost becomes moot, with the amount we’re talking about," says Charles Di Bona, an analyst with Sanford C. Bernstein. "Microsoft sneezes that much up in day." Most important for Facebook is the value now ascribed to it. 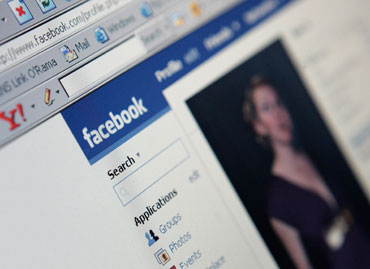 According to press reports, Facebook is expecting to earn a profit of $30 million on $150 million in sales this year. So if it were a publicly traded company, it would be valued at a whopping 500 times earnings. Google, no slouch when it comes to market value, is currently trading at about 53 times earnings. Zuckerberg, 23, wants to take Facebook public at some point. Facebook’s Van Natta says the company will use the money to add employees, expand into new markets, and innovate. In the end, this deal may be more about winning credibility than redefining markets. Facebook earns a lofty valuation, and Microsoft improves its standing as a Web force. And for each company, that’s good enough.